The international basketball market is incredibly dry right now, and there’s a lot more produce than buyers. The whole nation of Greece is broke, and Spanish clubs are running into financial barriers they’re not normally known for. Even Italian teams, including four time defending champion Montepaschi Siena, are facing budget cuts. In the NBA, most of the big stuff has been done. Of the 280 or so rotation spots in the league, most have been filled, and rosters in general are starting to fill up. That said, there’s still a lot of players out there looking for work, ranging from the meh to the intriguing. This excessively long list attempts to chronicle them all. The following is written with an eye on NBA signings; however, these players are of course open to the world at large. Hardened readers will note that a lot of these blurbs are jacked from other places where I have written them before…..but, you know, whatever. Earl Watson – Watson played with the Pacers on a one year contract last season, and averaged 7.8 points and 5.1 assists alongside a PER of only 10.9. His jumpshot, which is inconsistent from season to season, decided to be particularly bad for the second season in a row; it probably didn’t help that Watson started 52 games, when he’s overmatched as a starter. Watson is a capable backup, however, and should find a home in the NBA next year. Anthony Johnson – Johnson fell out of the rotation last year, losing his spot as the Magic’s backup point guard to a man with no sideburns that we’ll mention in a minute. He actually put up his best season for four years, putting up a PER of 12.4 and shooting 44% from the field. However, it still wasn’t that good of a year, and the preceding three were really bad. Johnson will turn 36 before opening night, and has probably run out of legs. Chucky Atkins – Not satisfied with only having two point guards that aren’t really point guards, the Pistons brought in Chucky Atkins last summer. Chucky did not impress, putting up a PER of only 8.3 and shooting 36% on the season which was an improvement on his marks the previous two seasons of 34% and 30% respectively. Incidentally, 36 is also how old he turns next month. Cedric Jackson – In a completely unexpected turn of events, undrafted Cleveland State point guard Cedric Jackson played for three different NBA teams last year; the Cavaliers, the Spurs and the Wizards. The Wizards then extended him a QO at the season’s end, although they later retracted it. Jackson is a good defensive point guard who also chips in with the rebounding, yet his own offense (jumpshot especially) is not particularly good, and he turns the ball over far too much. He might make it back into the NBA next year, or alternatively, he might go the Bobby Jones route and play for a hundred million different teams……in one season. Jason Williams – Dear Deliliah. Why, why, WHY, did Jason Williams decide to live the last year of his life without any sideburns? How can you have a full head of hair and smiultaneously decide that it’s a good idea to shave the burns up above ear height? And why for the life of Brian did Matt Barnes do the same? Brown was traded to the Clippers in a salary dump later in the season, where he did more of the same; 191 minutes, 85 field goals, 7 foul shots. Brown took a three pointer every 5 minutes last year, and didn’t seem to mind that he hit only 27% of them. He’s a scorer, of course, and scorers need to shoot. But he just…..won’t……..stop……….shooting……………..
Chris Quinn – Chris Quinn has played 4 seasons in the NBA. I don’t mean to be rude when I say that that is enough. He is a marginal talent, a good three point shooter with a great assist to turnover ratio, but who can’t do anything inside the paint in the NBA, and whose ratio masks the fact that he’s not a great playmaker. Not making mistakes can only get you so far, and I think four NBA seasons would be a fair representation of how far it gets you. Then again, Quinn could definitely make an inactive list as a shooting option. Earl Boykins – Boykins returned to the NBA with the Wizards last season, yet another of their pointless signings who all somehow conspired to help them win the lottery. He did his usual thing, scoring some points, hitting a lot of long twos, not turning it over much and taking every shot in the fourth quarter. Considering the Wizards were trying to lose, this was actually a good thing for a change. Mustafa Shakur – Shakur has been in and around the NBA for the three years since he went undrafted out of Arizona in 2007. He spent a couple of days on the Kings roster at the very start of the 2007/08 season (getting $20,000 for his troubles), and spent three weeks on the Thunder’s regular season last year (however, he did not play in any games). Shakur has improved since being undrafted; he’s still prone to wildly flailing towards the basket out of control, but he’s more controlled now while just as athletic as before, and has improved his jumpshot slightly. He’s a 15th to 16th man in the NBA, one of several who just need a stroke of luck to get a chance. The kind of chance that Will Conroy hasn’t had yet, and that Pooh Jeter just got. Unfortunately, by signing Royal Ivey, it looks like the Thunder won’t be giving Shakur another chance. Acie Law – Acie Law has played two good games in his NBA career. One of them was this one in March, and one of them was the following night. That’s been it, though; in three years, Law hasn’t shown much half court ability at all. And yes I know he should be on the small forward list. Antonio Daniels – Daniels didn’t play last season, taking a buyout from the Timberwolves in preseason in anticipation of a new contract elsewhere that never came. He turns 36 last this season and hasn’t been good for three years; nonetheless, he was a good player back in the day, and was sufficiently adequate even as he fell out of the league. A return must therefore not be ruled out. Travis Diener – Diener has basically the same skill set and CV as Chris Quinn above. He’s even managed five years to Quinn’s four, and has been paid above the minimum for the last three of those. But Diener is better than Quinn, and is not just a jumpshooter. The three pointer is pretty much the sum total of his own offense, but Diener can also run a good pick and roll and has a terrific assist/turnover ratio (more than 4.3 to 1 for his career, and more than 5:1 over the last three years). Diener is 28 years old with 179 NBA games with three NBA teams to his name, and while his defense is open season, he’s more offensively capable than most minimum salary third string point guard options. Failing that, he could always opt to go star in Israel. Eddie House – House should be one of the next players signed, because he is a proven role player. Maybe he’s not been at his best these couple of years, yet it matters not; House’s usefulness as a role player is proven. He’s going to come in and shoot jumpshots, do nothing but score, and score inefficiently at that, yet provides a permanent option in the halfcourt offense because of the speed and accuracy of his three point jumpshot. That’s all he does, and all he needs to do. Some teams will need that. Hell, my Chicago Bulls need that. Heading into his 11th NBA season, House is probably just a minimum salary player now, but that’ll do. EDIT – Scratch that. House is going to the Miami Heat. Jamaal Tinsley – Tinsley’s NBA redux with the Grizzlies just was not a successful experience. He scored 133 points on 140 shots, turned it over 4 times per 36 minutes with a roughly 3:2 a/to ratio, and was part of the reason why Memphis allowed the most field goal attempts at the rim of any team in the NBA. Amindst the soap opera and weight problems, the young Jamaal Tinsley used to have a lot of talent; however, he didn’t show any of it last year. Memphis are the kind of team that need to rely on retreads, yet they won’t be bringing him back, and so Tinsley’s NBA options list just got considerably shortened. Indiana needs a point guard, but…….well, you know. Marcus Williams – Williams was Memphis’s other backup point guard last year, alongside Tinsley. Like Tinsley, he had fallen out of the league due to weight problems and lacklustre play; like Tinsley, he was looking to the Grizzlies (who were willing to take more chances in a bid to strike gold) as a way back into the fold. And like Tinsley he wasn’t very good either. Williams got back into the NBA because of how brilliantly he ran the Grizzlies full-court offense in summer league, but it didn’t translate to the regular season, where his own lack of offense was again costly. Williams might still get other looks, and it would probably benefit him greatly to get them on teams with more disciplined offenses than Memphis. It’s a talented team, but not a smart one. Rafer Alston – Alston’s career is dribbling to a stop, and not in great fashion. He was bought out last season to return to the Heat, and played a lot of minutes early, but then fell out of the rotation and left the team without permission; ostensibly, Alston left to deal with a family issue, yet he was put on the suspended list and stayed there for the duration of the season. More importantly, he shot only .348% on the field, and now aged 34, he has lost the ballhandling and playmaking of his youth. Brevin Knight – Knight didn’t play in the NBA last year, nor did he play anywhere. He hasn’t been good since an injury-shortened 2006-07 season with the Bobcats; in his last two years in the NBA, Knight declined quicker than Travis Hafner. That, combined with him not playing last season, means that the 34 year old is probably yet. Yet the NBA still has an elite “old veteran point guards who are perceived to have value to NBA teams largely on account of their age” club, of which Anthony Carter is the President and CEO. Knight might still be paying his membership to that club; the next guy definitely is. Jason Hart – Hart was a member of three NBA teams last season, first winning a roster spot with the Timberwolves (no point guard jokes) and then being traded to the Suns for Alando Tucker (who immediately waived him). He then joined the Hornets for a short while as injury cover, recording 22 minutes and about half a million dollars on the season. Lucky bugger. Hart is only 32, yet hasn’t done anything since his fluke year with the expansion Bobcats. Lester Hudson – Hudson made the Celtics roster out of training camp, but did not make it beyond the contract guarantee date with the team. However, he got his money anyway when the Grizzlies claimed him off waivers, and Hudson saw out the rest of the season there. The Grizzlies waived Hudson as well at the start of this month, and he’s now without a team. However, he went to summer league with the Wizards, where he impressed with averages of 11.2ppg and 2.8apg, and is now a candidate for a roster spot with the team. In his NBA career thus far, Hudson proved he could score in transition, but the rest of his game remains in question, particularly his skills in the half court. Tweety Carter – Carter had a much improved senior season at Baylor after Curtis Jerrells left. Rather than just standing in the corner and waiting for passes, Carter was allowed to handle the ball and run the offense, and he proved that he could. Carter was efficient with the ball, ran the team in the open floor and the halfcourt, and mixed in his long range jumpshot with an endless series of floaters. He finished the season averaging 15.0 points and 5.9 assists per game; to put that into some context, the 5.9 assists per game tied for 5th in Division One. And three of the five players ahead of him (Evan Turner, John Wall, Greivis Vasquez) were all first rounders. Is Sherron Collins really as strong as they say he is, or does he just have a ridiculously wide neck? And if he IS really strong, what good is that if he doesn’t do anything with it? Collins is a good shooter and a fine ball handler, but he tends to use that ball handling ability just to get jumpshots off, often counter-productively. He is not a floor leader or a half court point guard, not a great pick-and-roll or penetrate-and-kick player; instead, he’s an undersized scorer prone to occasional streetball moments and weight problems. He has the weight of a 4 year career at a big program behind him, and all the journalistic love that comes with it. But unless he improves throughout the duration of his rookie contract, I don’t think he’ll get another one. As you can probably tell, I’m not convinced by Sherron Collins. However, taking me completely by surprise (and presumably him as well), Collins went undrafted. Now, it’s a different story. As an undrafted pickup, I commend the move. Player’s abilities are all relative to expectations, and by going undrafted, Collins’s expectations crashed. Now that nothing is expected of him by any NBA team, I am more confident in his abilities to play in it. If that makes sense. Patty Mills – Mills is a restricted free agent of the Blazers who will probably return to the team, unless he signs with Lottomatica Roma. He didn’t play much last year due to a broken foot, but in the ten games he did play, Mills averaged 2.6 points in 3.8 minutes, which equates to 24.6 points per 36 minutes. He contributed little else, as is his style, but he’s capable of scoring at the NBA level. He is also entirely capable of scoring at the D-League level, as evidenced by the 25.6 points per game he averaged on assignment with the Idaho Stampede. Mike James – James was another caught up in the Wizards guard mess, yet after starting 50 games for the team in 2008/09, the man who one redefined the phrase “contract year” played only 46 minutes with them this contract season. James was a decent player who became genuinely good in that 2005-06 season; however, since that time, he has been genuinely bad. Now 35, he will probably not return. Sarunas Jassercabbages – Panathinaikos declined Jasikevicius’s contract option this summer, ostensibly so that they could then re-sign him for a lower price. However, as things stand, this hasn’t happened yet. Panathinaikos lost Vassilis Spanoulis to rivals Olympiakos – who apparently don’t think Milos Teodosic and Theo Papaloukas is enough point guard quality – and yet while they haven’t brought in another point guard to replace him, they do still have Nick Calathes, Dimitris Diamantidis and Milenko Tepic (kind of) who can play at the spot, as will as perennial depth option Dimitris Verginis. They’re also linked with every free agent point guard going, from Bo McCalebb (who went to Montepaschi Siena) to Nando De Colo (undetermined), and even Rudy Fernandez (currently the subject of an insane Anthony Randolph trade rumour). Long story short, Jasikevicius is currently a free agent. John Lucas III – Lucas played with the Bulls in summer league, and played well. It is perhaps logical, if not destined, that he goes to training camp with the team. Lucas is largely just a shooter, and a small one at that, but also a very good one. He didn’t play well in his first two NBA seasons, yet the opportunity exists for another. EDIT – Randle has signed in Turkey with Aliaga Petkim, where he will pair up with Aubrey Coleman. Jon Scheyer – Scheyer might get make the NBA, Scheyer might not make the NBA. Whichever it is, Scheyer is a fine shooter and an incredibly mistake-free point guard, who keeps the ball moving without turning it over. He’s also really, really, really efficient, as both a passer and a scorer. And if you believe Mike Shasheffski, he “only wants to win.” Not like those other players, some of who want to lose. Curse those other players. Curse their souls. If it all comes down to Scheyer’s physical limitations and his little stumpy arms, then OK. I certainly don’t fancy his chances of defending NBA guards either, not at point guard nor shooting guard. But Scheyer proved his ability this season as an amazingly efficient point guard, controlling the tempo and never making mistakes, milking the pick and roll and effective in transition while able to hit the shots of his own. Admittedly, he was born to play in Israel, and probably will do if he doesn’t make an NBA roster (Maccabi Tel-Aviv have a thee year deal for him that he will accept if he doesn’t make the NBA, and Virtos Bologna are also adter him.) But that doesn’t mean he’s not NBA material. Even if it’s not as a backup point guard, there’s surely a J.J. Redick-like role for him somewhere. Not all shooters need to be like Eddie House. Allen Iverson – I can’t think of a single team for whom signing Allen Iverson is a good idea. I mean, if it didn’t work out on Philadelphia, where WILL it work out? As far as I see it, Charlotte remains the only possibility. And I think it would have happened by now. Mario West – West has played parts of the last three seasons with the Atlanta Hawks. He has been used solely as a defensive specialist, which explains the absence of any offensive numbers; in 156 career games, West has averages of 4.4 minutes, 0.8 points, 0.8 rebounds, 0.2 assists and 0.8 fouls per game. If you need a last-play-before-the-end-of-the-quarter defensive specialist, then West is your man. But I don’t think anyone ever really needs that. Delonte West – West is not a free agent, but he will be soon. Minnesota, who just traded him, are going to waive him for the $3.3 million in salary savings that doing so will avail them. When this happens, West becomes the best available two guard on a market short of them; he can also play point guard, if that’s what a team needs. Delonte is a good defender and shooter, capable enough of running the pick and roll in the half court, yet the reason he’s become so blacklisted is for all the other stuff. The violin case, the Gloria rumour, the bipolarness, etc. He is not a marginal talent, yet because of the soap opera of his off-court life, he’s costing himself job opportunities. However, there are still teams out there who may want (or need) to take a chance on that. I recommend Memphis. Shannon Brown – Brown is one of the hottest commodities left on the market, which confuses me. He is not a bad player, yet he recently found himself in a system ideally suited to his strengths and weakness. In the triangle, Brown got to defend the point guard (sometimes) while not playing it on offense. He got to run the court and finish in style, without having to do any ballhandling in the half court. He got every shot set up for him, and it didn’t matter as much that he’s not a good shooter. And yet he STILL wasn’t very good, shooting only 42% from the field and 32% from three, barely taking a foul shot, recording a true shooting percentage of .517% and a PER of 12.4. Brown is a useful role player and better defensively – who’ll get even better on that end when he learns to go over screens – but he’s overrated. He takes bad shots and can’t dribble or shoot well at 6’4. This is not a player to overpay for. Tony Allen is better. Roger Mason – Roger Mason shot only 33% from three last year, and 39% overall. With only 34 free throws taken all year, Mason’s true shooting percentage was .490%, and that’s just not very good. That said, the three point percentage was a blip. Sometimes, shooters can’t shoot for a season. Check out Casey Jacobsen’s season in Memphis, for example. The days of Mason the slasher are pretty much over, and have been since he left Israel, as are the days of Mason the occasional point guard defender. But Mason can still shoot, last year excepted. And he’s good enough of a defender. Incidentally, there exists a decent possibility that in the next week, the Bulls will hire Rick Brunson as an assistant coach and sign Roger Mason as a player. This is noteworthy for the fact that Chicago, under Paxson’s regime, once traded Mason for Brunson. A minor mistake. Larry Hughes – Larry Hughes played for the Knicks and Bobcats last year, while Sacramento decided it was best to pay him not to play for them. Sacramento were right; in 45 games and 1,115 minutes between New York and Charlotte, the always inefficient Hughes set new lows by shooting .355% from the field with a career low PER of 11.1. If anyone out there is still making excuses for him, I fail to see how. He made a contract year push, and it came off. Now, 31 years old and losing the athleticism, he’s done. That’s just how it is. Luther Head – Head signed with the Hornets three weeks ago, but then this happened. He averaged a reasonably efficient 7.6ppg for Indiana last season, but still faces the same awkwardness as ever; a 6’2 shooting guard who can’t dribble or pass, and who thus can’t play point guard. If the Lakers lose Shannon Brown, Head would be a decent replacement. Ronald Murray – Murray continued his inconsistent career with an inconsistent season. Some years he’s good, some years he’s not; last year, he was not good. Murray shot only .392% from the field and .312% from three point range, and, as is his style, he didn’t do much other than shoot. He has probably played his way into minimum salary roles only now, if that. Murray was genuinely useful in 2008/09, but he’s too unreliable to be relied upon. Mardy Collins – In 189 career games and 2,771 career minutes spread across two teams, Mardy Collins proved throughout the duration of his rookie contract that he can’t play. His career PER is 7.9, and peaked at only 9.5 in his sophomore year, which is still significantly below average. He’s not really a point, nor is he really a two, nor can he shoot, and nor could he get to the basket like he could at Temple. That leaves you with a ball dominant player who is not good enough to dominate the ball in the NBA. It’s a tough sell. Jaycee Carroll – Lest anyone didn’t already know this, Jaycee Carroll proved in summer league that he can flat out score the ball. He will forever be disadvantaged by the fact that he shares a body with Travis Diener, yet Carroll epitomises all the parts of scoring that someone like Gerald Green (more on him later) doesn’t know how to do. He moves without the ball, gets by on craft rather than size and athleticism, takes good shots, and has a fine floater. Now aged 27, Carroll may well never play in the NBA, but if you can get him on a team where he’s allowed to defend the point guard while other players n the wings handle the playmaking, he has a chance. Failing that, he’ll continue to star in Europe. Javaris Crittenton – In three years, Crittenton has been traded once, barely played, played badly when he did play, turns it over quite a lot, can’t shoot, tore up his knee, had his rookie contract option declined, and made Gilbert Arenas pull a gun on him. But he’s tall. Devin Brown – Bulls fans love to daydream about the prospect of Tracy McGrady returning to his 2006 form. But I’m not allowed to daydream about the possibility that Devin Brown could return to his 2006 form. In 2006, as a midseason pick-up playing as an emergency point guard for the Hornets, Brown was good. He was athletic, a rebounder and decent shooter, capable defender and passer, a solid and versatile all-around player who was great at nothing, but contributed at everything. That’s not what he is now, of course; the athleticism has gone, and the shot, which was never very good, has gotten worse. He now can’t defend, run the court or drive, and resorts to casting up bad 3’s. I’m not saying I want Devin back with the Bulls. I’m just saying the McGrady pipe dream is a hypocrisy. Tracy, after all, lost a lot more than Devin ever did. J.R. Giddens – The Knicks have not renounced J.R. Giddens, even though he played on the Mavericks summer league roster and not theirs. Strange times. Giddens started last year with the Celtics, and with the news that he wasn’t having the third year option on his rookie contract exercised. This made him only the 7th player all time to have this happen to him; the other six were Patrick O’Bryant, Yaroslav Korolev, Julius Hodge, Shannon Brown, Morris Almond and Joe Alexander. He played only 99 minutes for the Celtics, spending 4 games on assignment in the D-League, and then was traded to New York as a part of the Nate Robinson deal. Giggidens then got a few more minutes, playing 140 minutes in 11 games and recording a PER of 10.5. Charged with the tasks of improve his shooting and ball handling coming out of college, Giddens didn’t; his best talent remains his ability to run around a lot. He wins possessions in this manner, but his offense in the NBA is still limited to the opportunities born out of athleticism. At 6’5, that doesn’t get it done. Kyle Weaver – Weaver is not a free agent at the time of writing, but he might be by the time of reading. Oklahoma City will waive him before his contract becomes guaranteed, thereby opening up a roster spot, a thing they don’t have a lot of any more. Weaver played only 144 minutes in the NBA last year, and only 5 games in the D-League, due to shoulder surgery. He has done nothing to deserve to lose his roster spot, demonstrating a decent all-around game, with good defense, an OK outside shooting, size, athleticism, and the ability to occasionally masquerade as a point guard. Yet Daequan Cook and Morris Peterson are earning nearly $9 million combined next year, and can probably handle all 400 of Weaver’s slated minutes. If the Roger Mason signing does not go through for Chicago, I’d rather have Kyle Weaver than Keith Bogans. Antonio Anderson – Anderson briefly replaced Weaver with the Thunder last year, and is a comparable player. He’s not ideally suited to shooting guard nor point guard, yet he’s a decent passer and playmaker with a two guard’s size and fine athleticism, who struggles greatly only with his jumpshot. If he had one, he wouldn’t on the cusp of the NBA like this. Blake Ahearn – Ahearn is the shooter from Missouri State who has played a few games for the Miami Heat. He’s a rather unique little sausage; an extremely brilliant shooter from the foul line and from three point range, and who can masquerade as a point guard reasonably well, but who is unathletic and doesn’t contribute much elsewhere. The most notable part of all that is the efficiency; Ahearn always shoots over 40% from three and over 90% from the line, and I do mean always. Last year was no different. Finally leaving the D-League to go and get some proper money, Ahearn signed with ACB team Estudiantes Madrid, for whom he averaged 14.2 ppg in 24 mpg with absolutely no other statistical contributions other than fouls. He shot only 30% from two point range, but he hit his customary 41% from three, and also shot 98% from the line (57-58). When his contract expired, Ahearn returned to the D-League, where he averaged 44.5 mpg, 26.2 ppg, 6.0 apg and 4.7 rpg for the Erie BayHawks, shooting 45% from the field, 43% from three and 96% from the line. He’s about as good of a shooter as there can be, and yet he can’t get back in the NBA. Greg Buckner – Buckner was always a marginal talent who was the lucky beneficiary of two exceptionally generous contracts. In 2002, Buckner signed a six year contract with Philadelphia, and in 2006, he signed a five year deal with Dallas. He managed to stay on the roster for only five of those eleven seasons, and did not play anywhere last year, but if anyone needs a defensive minded unathletic 6’4 guard with occasional point guard abilities but no scoring ability, then Greg Buckner is your man. He’ll sign for as many years as you are willing to give him. Boy, am I looking forward to the Billy King era in New Jersey. Billy King + a full MLE + owner with unbelievably deep pockets = a whole lot of potential comedy in future years. Mike Taylor – More energetic than a buggered puppy, Taylor played in Europe for Crvena Zvezda, and was one of the most unique players in the Eurocup. Ridiculously athletic, Taylor make things happen on both ends, on a team that didn’t have much athleticism other than him. But Taylor still suffers from mistakes (turnovers and fouls), height, and an average jumpshot. Bo McCalebb has turned a similar skillset into European stardom, but Bo McCalebb makes far fewer mistakes than Mike Taylor does. Taylor’s decision making has improved, but it’s still not good enough. Louis Bullock – After seven years, former Timberwolves draft pick Louis Bullock has finally left Real Madrid. This is partly because he has declined. Now 34, Bullock still rocks the three point shot, shooting 46% from three in the ACB last year, but he’s still a 6’1 shooting guard with no other statistical contributors. He is also losing his speed as he ages, and thus his defense. His NBA window shut about 11 years ago, but I’m listing him here anyway. Matt Bouldin – Perhaps surprisingly, Bouldin went undrafted out of Gonzaga. He was definitely a valid draft candidate, but for some reason, the second round went a bit weird. Bouldin is a big strong off-guard who can occasionally play the point, armed with good passing skills, but without much athleticism. The curly haired one has a decent jumpshot, but not good enough of one to make it in the league as a shooting specialist, and his lack of speed (plus his rather average 6’5 size) deemed him a defensive liability at the NBA level. It also rather undermined his driving ability. Donell Taylor – Taylor had a strong season, averaging 21.9ppg, 7.2rpg and 4.8apg for the Idaho Stampede. He is a former Wizards and Bobcats guard, whose problem has always been jumpshots (and, in his Wizards days, layups as well). Taylor’s jumpshot has improved a bit, although it’s still the strength of his all-around game that makes him interesting. He probably won’t get one, but another turn in the NBA would not be unjustified. Joe Crawford – Crawford is slightly undersized for a shooting guard at 6’4, could use a slightly better three point stroke (and definitely from the foul line), and is not exactly consistent; he is, however, a talented and versatile scorer, mainly through penetration. Crawford is a former draft pick of the L.A. Lakers, 58th overall back in 2008. Had he been drafted somewhere else, he might have stuck in the NBA by now. He’s good. Rashad McCants – Rather than trying to describe the Rashad McCants situation, I’ll let this article do it. The article tries really hard to make McCants seem like a sympathetic figure, a man whose not faultless but who never got a fair chance. But it really doesn’t invoke much sympathy. Ryan Thompson – Horny Postman is a good all-around shooting guard who was a surprise to go undrafted. Thompson is considerably smaller than his brother Jason, but he has the right kind of size for an NBA shooting guard, and can both drive the ball and shoot from the outside. He is far better at the former, however. JamesOn Curry – JamesOn Curry earned a midseason call-up to the Clippers last season from the Springfield Armor of the D-League. It was an interesting call-up; Curry was averaging only 14.4 points and 6.4 assists per 36 minutes down there, which are decent numbers yet not normally point guard calibre. Nevertheless, the shooter was called up on a ten day contract, where he preceded to set an NBA record. Curry currently boasts the shortest career of all time of anyone to have ever taken the floor in an NBA regular season game, with his four second career shattering the previous record of nine seconds set by Alex Scales back in 2005. So he’s got that going for him. Salim Stoudamire – Damon’s cousin has not played outside of the NBA in his professional career. He also hasn’t played in an NBA game since April 16th 2008. After the Hawks passed on re-signing him that summer, Stoudamire signed with the Spurs for training camp, and had $200,000 of his minimum salary contract. This would have given him the inside track on a roster spot, had he been healthy. But he wasn’t, and the vegan was waived in favour of Desmon Farmer (who I guess you could also add to this list, although I won’t). Stoudamire stayed on the shelf for most of the rest of the year, but was picked up by the Bucks for no obvious reason with about two weeks left in the season and signed through this season as well. However, the Bucks waived him this summer, and Salim has not signed or played anywhere since. Because of injuries and his one dimensional skillset, it seems unlikely that he ever returns to the NBA. Gordan Giricek – In a bid to make this list as comprehensive as possible, here’s Gordan Giricek. Damon Jones – Damon Jones still only shoots. He was a midseason signing of the now-defunct Martos Napoli, and played in 9 games for the team, averaging 13.3 points per game. The self-proclaimed best shooter in the world took 42 two pointers, 71 three pointers and 0 foul shots in those 9 games, also managing to record only 6 personal fouls in 325 minutes. Complete avoidance of physical contact? That’s our Damon. Jerome Dyson – There was a time when averaging 20/5/5 at UConn meant a guarantee to be drafted. Not so for Dyson. For all the scoring numbers, Dyson is far from a complete scorer; for all the assist numbers, Dyson is far from a point guard. And at 6’3, he’ll struggle to be a shooting guard as well. Much of his production comes from the fast break, where he is unbelievably good. He can snake his way to the basket with blistering speed, and finish with athleticism despite his small size. In the half court, however, he can’t get to the basket as readily. This is due in no small part to his jumpshot, which doesn’t really exist. And while Dyson has the athletic tools for perimeter defense, he has a size advantage at shooting guard, and is prone to lapses in focus. Steve Francis – Did you forget about Steve Francis? I forgot about Steve Francis. Oh well. We’ve remembered now. Let’s move on. Bobby Simmons – Simmons’s career transition from “can do anything except shoot” to “can do nothing but shoot” is complete. Simmons put up only one season with a PER over 13.8 in his career, missed the whole 2006/07 season with injury, and played only 23 games last season as well. The contract Milwaukee gave him looks even worse than ever, and as it’s finally expired, Simmons is now in grave danger of falling out of the league altogether. Jawad Williams – Williams has spent the last two years with the Cavaliers, playing only 20 minutes in his first season but getting 742 more last season. He developed his game in the Developmental League, becoming a versatile and polished offensive player with NBA size and athleticism. Williams is currently a restricted free agent of the Cavs, who might bring him back, even though he shot less than 40% last year and even though they just brought in Joey Graham. Tracy McGrady – Irrespective of his injury history, and irrespective of his greatly declined performance, there’s one other fundamental sticking point to the idea; Tracy McGrady is not a shooting guard. He used to be able to play it, but he also used to have two working knees. He could, of course, just play small forward to whatever standard he can muster. But the teams said to be looking at him – L.A. Clippers, Chicago, Miami – don’t need that. In fact, not many teams need a small forward right now. This disadvantages everyone under this heading, but particularly McGrady, for he more than anyone needs a particularly good situation in which to (attempt to) realise his comeback dreams. By this stage, if he goes unsigned, it would not be surprising. Marcus Landry – Surprisingly, Carl’s younger brother made it almost the entire season. In workouts and summer league last year, Marcus demonstrated more a far better three point shot than he was ever allowed to show as Wisconsin, and made the Knicks roster on that basis. He was later a throw-in in the Nate Robinson trade that sent him to Boston; bizarrely, with two weeks to go in the season and Landry’s contract fully guaranteed, the Celtics then waived him so that they could give roster spots to Tony Gaffney and Oliver Lafayette. I guess Landry didn’t win them over as much. Linton Johnson – Lint played for the Orlando Magic in training camp, and would have been a good fit and a good player had they been able to afford to keep him. He did survive two days on the regular season roster, but I’m not sure that counts. Since that time, Linton has remained unsigned, presumably waiting on the Bulls to bring him back again. Michael Finley – Finley started 77 games in 2008/09, but it was last year, the year in which he turned 37, that he finally jumped the shark. He shot the three pointer well for the Celtics, yet was bad for the Spurs, and put up career lows across the board. There’s not much left to Finley now, and none of it is coming back. Jeremy Richardson – An athlete with a jumpshot who has an outside chance of playing for every team in the league before he dies. Let’s make it happen. Cartier Martin – Martin is a restricted free agent of the Wizards, and is expected to return, despite the re-signing of Josh Howard today. He played 8 games with the Wizards to end last season, and even though he is currently not under contract to the team, they do have a qualifying offer extended to him. Martin started last in Italy, had a dreadful time, went to the D-League, averaged 21/5, and then got back into the NBA. In his 8 games for Washington, Martin scored 6.4 points per game on 38% shooting, and is a valid candidate to provide some wing depth next season. If things aren’t as horrific as last year, he might not need to play so much. Damien Wilkins – Wilkins didn’t score well last season, shooting only 43%, .295% from three point range, and averaging only 5.6 points in 20 minutes per game. Then again, he never scores well. Apart from that night he scored 41. Jarvis Hayes – Hayes was in an unfavourable position last year, the designated three point shooter on a Nets team with absolutely awful outside shooting. He missed the first half of the year with injuries, and when he returned, he shot his worst three point percentage since his rookie year. That said, he’s normally a good shooter, defends adequately, and provides a slightly bigger alternative to other shooting options in this list. The Nets have not renounced him, which may or may not mean anything. Rodney Carney – Carney returned to the Sixers last season, and responded with career lows in minutes, points and field goal percentage. Strangely, he also had a career high in PER, despite shooting only 40% from the field and 35% from three point range. Carney might yet churn out a long career as a Keith Bogans-like defensive specialist, and given his lack of improvements on offense over the last four years, he might have to. Jerry Stackhouse – Stackhouse, along with Kurt Thomas, gave the Bucks some toughness last season. Scott Skiles needs some of that. But Thomas has left the team now, and Stack seems sure to follow. After a nothing season in 2008/09 crippled by injuries, Stackhouse was assumed to be done, but he was a surprise and welcome midseason addition for the Bucks. The athleticism has gone, the jumpshot has never advanced much beyond “streaky”, and he’ll be 36 before next season. That might have been his lust hurrah. But if it’s not, he’ll still give it his best. Stephen Graham – Graham played a career high 804 minutes, and shot 50% from the field. He still doesn’t dribble or shoot well, but he chips in with the rebounds, defends the wing positions well, and significantly cut down on his turnovers last season. At this point, he is a better player than Joey. Rodney White – You have to love it when a player averages 27.5 points, 8.9 rebounds and 3.8 assists per game, as Rodney did in China this season. Will this lead to an NBA return? No, probably not. Devean George – George might have just put up the best season of his career. It was certainly his most efficient; the career 39% shooter shot .432% from the field and .390% from the field averaging 5.4 ppg/2.4rpg and putting up a PER of 11.6, his best for 8 years. He’s still no good, of course, but that second wind might be enough to get him another contract. Ime Udoka – A late bloomer – or rather, a late arrival to the NBA – Udoka plays decent defense and has the corner three pointer down pat. He has proven to be a contributing role player to winning teams, and even to a losing team last year in Sacramento. However, Udoka has also proven to be declining year on year, and turns 33 next week. Steve Novak – In four years, Steve Novak has made absolutely no attempt to be anything other than a three point shooter. He is about as one dimensional as it is possible to be. For the Clippers last season, Novak took 71 three pointers, 27 two pointers, 9 free throws, did not play defense, and had a worse-than-usual total rebounding percentage of 5.3%. (Of the 441 players who played in the NBA last season, 387 of them had a better total rebounding percentage than that, including many guards. And of the 53 players that were worse, only Rasual Butler, Jason Kapono, Taylor Griffin and Paul Davis are not guards. Griffin and Davis played 40 minutes combined. The other two are comparably one dimensional shooters.) Novak turned it over twice in only 362 minutes, which is quite incredible, yet understandable when you consider that if ever Novak catches the ball, it is to shoot. And missed shots don’t count as turnovers. Novak’s career 3PT% of .403% proves his worth in this regard, yet does anyone have room on their roster for someone so truly limited? Hell, even the Clippers opted for Brian Cook over him next year. Sasha Pavlovic – I’m in the midst of writing a half-arsed defense of David Kahn, which, far from announcing that the man has any kind of plan, instead focuses on good moves of his that have gone underrated. But even I cannot defend the Sasha Pavlovic move. A team with absolutely no short term ambition (nor any reason to have any) decided to bring in a 26 year old on a one year contract, who had put up PER’s of below 9.0 in 5 of his previous six seasons. Sasha responded with yet more sterling basketball, playing 877 minutes in 71 games and shooting 37% from the floor, scoring only 10.8 points per 36 minutes and not playing any defense. Signing veterans with fringe talent and no upside, to one year contracts, whilst in the midst of a full rebuild, is not indicative of a plan. Actually, I suppose if the plan was to tank, then this move made perfect sense and was a rousing success. But I suspect Minnesota could have picked in the top 5 even if they had given these minutes to Wayne Ellington. Joe Alexander – If you had expected the Joe Alexander/Scott Skiles marriage to end well for Joe Alexander, then…..well, you’re an idiot. Alexander was pawned off to the Bulls at the deadline, where he played almost as little as he did in Milwaukee, recording 29 minutes all season. He didn’t even play for Chicago in summer league. Given that no one has played him, we can only assume that he’s the same player he was before; hugely athletic, and able to get off shots on the back of that, but just not good at making them, and prone to every kind of mistake in the book. Someone will take a chance on him next year, yet that someone will probably be the Reno Bighorns. Gerald Green – Last year, Gerald Green played in Russia. Playing for Lokomotiv Kuban, Green averaged 16.3 points, 3.8 rebounds and 1.6 assists per game, shooting 44% from the field and 35% from three point range. Unfortunately, there’s no stat for whether he “gets it” yet. Taylor Griffin – The only thing Taylor Griffin did in his rookie year was go bald. Griffin played only 32 NBA minutes in his rookie year, alongside 12 games on assignment in the D-League. Down there, he averaged 28.8 minutes, 9.6 points, 6.2 rebounds, 2.2 assists and 1.3 steals per game, shooting 44% from the field and 24% from three point range. Griffin has the makings of a good Shane Battier-esque little things type of player, but just making it to the roster next year would be an achievement. He’s not a scorer, nor can he dribble. Griffin was waived by the Suns last week, and is now looking for work. The D-League beckons. Raymar Morgan – Morgan just finished a four year stint as a role player at Michigan State. He’s a versatile offensive player, able to drive the ball, score from the post, and hit a few outside jumpshots. He’s also a decent athlete, rebounder and defensive player, with good enough size for a combo forward at 6’8 ish. Yet there’s no one thing he’s particularly good at, and his perimeter game is below par. Morgan would have had more of a chance to develop one had he not suffered so much from injuries and illness, another red flag against him. Lee Nailon – Still going, is old Lee. Still going. Specifically in Puerto Rico, where the shots continue to go up. Ruben Patterson – OK, so this entry might have been more fitting in 2008. But so be it. Patterson’s best NBA season was his penultimate one. As a member of the 2006/07 Bucks, Patterson set career highs in points per game, rebounds per game, assists per game and field goal percentage, scoring 14.7 points a night on 55% shooting and putting up a PER of 18.5. Since then, though, his NBA career saw only one more contract, an unguaranteed minimum salary contract at that. That was all he could get the following summer from the Clippers, despite the strength of those statistics from the previous year. Worse still, Patterson couldn’t even make it the whole season with the team, being waived before the contract guarantee date. Patterson signed with the Nuggets for training camp in 2008, but did not make the team. He later played 3 games in Lebanon, but he has nothing to his name this year. (Except this arrest.) The 2007/08 season marked the (current) end of his NBA career, despite him still having something to give as an athlete, defender and post-up option. Perhaps it had something to do with what Steve Patterson (no relation) describes here. Adam Morrison – Morrison is one of the biggest draft busts of all time. He can make tough shots, but because of how unbelievably unathletic he is, every shot is a tough shot. Morrison can’t play defense, doesn’t want to rebound or pass, and seems to make every shot harder for no obvious reason. On the rare occasions that he gets to play, he continues to take the kind of shots that he took in college, but without the justification for doing so any more. The resulting concoction is just not a good player. The only ability he has is one he shouldn’t really be utilising. Desmond Mason – Mason started the year with the Kings, but he really did not look good. He put up a 6.2 PER, and was quickly waived. Mason remained unsigned since; proposed links to a couple of different ACB teams never came off. With his athleticism going, Mason hasn’t a lot to offer any more, save for reasonable perimeter defence and some 6’7 posting-up. The jumpshot never developed and now never will. Marcus E. Williams – Strangely, Williams turned down a 10 day contract from the Pacers at the end of last season. He is good enough to be in the NBA, which is why he has been on more than once occasion, and he has been putting in work to turn into a point guard over the last few years. But he isn’t a full time one. Williams can handle the ball, drive, rebound, shoot a bit and play adequate defense, yet he had an opportunity and didn’t take it. He’ll be lucky to get another. Alando Tucker – Tucker was waived by the Timberwolves after the deadline in order to go and play in Puerto Rico. He was then waived by his Puerto Rican team for undeperforming. Not a good year. Not a good three years, actually. Tucker played only 51 games and 426 minutes on his rookie contract, most of which were in garbage time, which doesn’t give us a whole lot to go on. Qyntel Woods – His NBA legacy isn’t pretty; too much pot, too much legal trouble, too much dogfighting, and too little realised potential. But since leaving the NBA, Qyntel Woods has managed to established a strong career for himself. Woods has played a season and a half for Polish powerhouse Prokom Gdynia, and while the Polish league isn’t amongst the best in Europe – although it’s not bad – Gdynia are a perennial Euroleague team. If you’re in the Euroleague, you’ve got a good gig, and if you do well in the Euroleague, then you’ll get noticed. Woods has done especially well there this year, averaging 16.9 points, 6.2 rebounds and 2.5 assists per game, ranking third in the competition in points and seventh in rebounds. He has also averaged 14.5 points, 6.6 rebounds and 2.5 assists in only 25 minutes per game in the Polish league, and even though he’s not a particularly good three point shooter, he’s improved, cranking up 5 a game and hitting them at 35%. Woods will likely not return to Prokom next season and is a free agent. But he’s now faced with a problem; there’s no market for him. Despite the failure of his NBA career, both on and off the court, Woods has become a star in Europe; despite the stardom he’s found in Europe, no one wants to pay him. His future is up in the air. He has been connected with the Cavaliers, Wizards and Nets, as well as Real Madrid; he may yet also return to Prokom. An NBA return is not impossible. Florent Pietrus – The Bobcats were said to be chasing Pietrus hard last season, but didn’t sign him. They seem to really, really, really like defensive small forwards who can’t score – hence the signing of Stephen Graham instead, and Dominic McGuire last month – and Pietrus is definitely that. Florent Pietrus is everything Mickael is without the three point jumpshot, and probably the better defender. But on offense, there’s problems. Andre Emmett – In the last two years, Emmett has averaged 33ppg in China, 24ppg in France, 26ppg in Venezuela and 24ppg in Belgium. He’s carefully avoided Italy and Spain, and didn’t work out in his couple of NBA seasons, but he’s putting up the numbers. And presumably, he’s stacking paper. The knocks on him are that his outside jumpshot is weak, and that he is extremely ball dominant. But production is production, and Powell is big enough and strong enough to get to the rim in the NBA just like he does in the minors. No one has taken a chance on him yet, though. Melvin Ely – The days of Melvin Ely being thought to have promise are genuinely over. The now-32 year old did not play in the NBA last season, and may never play in it again. Apart from one good season – conveniently, a contract season – Ely has been (not had) a substantial bust in his NBA career, shooting only .457% and having a career total rebounding percentage of only 11.7% (which is only just better than Luol Deng’s career mark of 10.8%.) Ely can block the occasional shot, but so can many players. And most of them can grab rebounds and score better than that. Louis Amundson – Amundson is way too good to be any team’s fifth man. But for whatever reason, this free agency market doesn’t seem to know that. You could make a legitimate argument that Amundson outperformed Taj Gibson last year, and the two are certainly comparable players. Amundson doesn’t have a mid-range jumpshot as good as Taj’s – although it’s not bad – but he’s of a comparable size, a slightly better rebounder, a better shot-blocker and a better pick-and-roll option. He’s in his prime and fresh out of Phoenix, which can be bad for a man’s numbers, but he is better than a minimum salary 11th man. The boy showed last year that he can play. Someone should let him do this. He fits in Golden State perfectly. James Singleton – Singleton has long been a favourite of mine, an effective combo forward who fell out of the NBA when he never should have done. He can’t dribble, but he can shoot, defend, hustle and rebound, providing the same sort of mismatches that he similarly fails to alleviate. Every team needs a player like James Singleton. This is how Devean George gets so much work. Pops Mensah-Bonsu – Wherever he plies his trade in this world, Pops makes things happen on the court. “Things” can often include bad stuff, such as turnovers, airballs, ridiculously ambitious drives to the basket, and silly fouls. But making things happen is also a good thing in a big man, and something that’s often overlooked in a league that seems to have a bizarre fetish for old stagnant farts that doesn’t contribute on the court in any significant way. (You know the types. Some of them are on this list.) Mensah-Bonsu always sports a great rebounding rate, can get some points through sheer hustle and athleticism, and has a good handle for a power forward. He is prone to the occasional delusion of grandeur, but he causes turnovers, wins possessions, scores some baskets, grabs some rebounds, blocks some shots, runs the bejeezus out of the floor, and is disruptive around the basket. No team can have enough of that. Maceo Baston – Baston’s NBA redux between 2007 and 2009 didn’t see him play a whole lot, but he did do quite well in the time that he did get. Last season was his worst season, yet even Baston’s worst season was pretty good; he averaged 2.5 points and 2 rebounds in 8 minutes per game, and his PER was 12.3. His career PER is 14.4, too, which makes you wonder why he’s only played 831 NBA minutes in three and a bit seasons. He didn’t play in the NBA last year and is now 35 years old, but he’s always been productive. And, in the NBA at least, he’s always been overlooked too. Joe Smith – Smilin’ Joe is a scoring option, armed with a good mid-range jumpshot, hook shots with both hands, and an impossibly chipper demeanour. He is certainly not the player he once was, and probably wouldn’t even be the player that he was once after reinventing himself from the player he was once, either. This is evidenced by the 40% he shot last season for Atlanta, scoring 194 points on 193 shots. Yet if we’re willing to overlook last year as an anomaly, then Joe has something to contribute offensively. Mike Sweetney – Sweetney’s never-ending weight problems, covered here before, are no better. He was listed on the Wizards summer league roster earlier this month, yet he never played for the team. The Wizards wouldn’t let him because he turned up too fat. This is the story of Sweetney’s career, an oft-chronicled one around these parts. It doesn’t look like it’ll change any time soon. Darius Miles – Miles returned from what was believed to be a career ending injury to play for Memphis in 2008-09, amidst a hugely unpleasant soap opera. And despite all the drama, even in spite of having to re-invent himself as a smaller big man, he actually wasn’t bad. He played less than 300 minutes but posted a PER of 16.1, which would have tied his career best had he played a more significant number of minutes. He chipped in with some rebounds, blocked a ton of shots, and even found a free throw stroke for somewhere, no longer the world-beating athlete of his youth but still a good one, even after the supposedly career ending knee injury. However, this was all undermined when it was revealed that Memphis were worried about Miles’s poisonous attitude, which became the reason why they did not invite him back. Of all the things Miles needs to work on – health, staying in shape, jumpshot, ball skills, not smoking pot – this one must come first if this comeback is ever to get anywhere. Malik Allen – Malik has been plying his trade with the Nets, Mavericks, Bucks and Nuggets in recent years. He has consistently not added to his game, demonstrating little else but a pick-and-pop jumpshot and an aversion to physical defense. Last year, he wasn’t even good at the shooting part, shooting only .397% and doing his usual act of taking only 13 free throws all season. At the very least, you know what you’re getting from Malik Allen. I reared back for a compliment there, but that’s all I could find. Sean May – As a lottery pick, Sean May busted quite badly. Partly due to weight problems, and partly due to knee injuries exacerbated by the weight problems. May lost weight last summer and joined up with the Sacramento Kings, looking for a career redux; however, he didn’t get one. May played only 37 games for the Kings – which admittedly is a career high for him – and was out of the rotation for most of the season. May can make shots from inside and out, as well as pass the ball, but he makes plenty of mistakes, scores inefficiently, and has a very lengthy history of knee trouble. Keith Brumbaugh – If you know anything about his story, you’ll know that talent was never the issue, not when compared to his lengthy arrest record and complete lack of professional background. It’s why he didn’t play in the NCAA, and why he subsequently get drafted. Brumbaugh has spent two years in the D-League, averaging 8.3 points and 3.7 rebounds in his first season, rising to 15.9 points, 5.5 rebounds and 2.4 assists last season. He is starting to realise his potential. But unfortunately, he turns 25 tomorrow. You’re not past it at 25 – which is a relief, since I’m 25 as well – yet you need to be somewhere close to your best at that time. Rob Kurz – Kurz was a Chicago Bull as of the start of this month. He never played for them, but got a few grand and great playoff seats for the privilege of spending two months with the greatest team in the world. Kurz is an NBA calibre player with very good rebounding numbers, decent defense and an old-school one handed jumpshot, a face-up combo forward with occasional post offense who should be in the NBA somewhere next year. Jonathan Bender – Last season, Bender came out of retirement at the ripe old age of 28 to play for the Knicks. Bender was always good, but retired because he ran out of bone cartilege; after a few years of letting the pain subside, Bender came back to see if he still had anything to give. He was OK, putting up a PER of 10.8 in 25 games, not helped by a broken finger. Bender’s lost the athleticism of his youth, but he’s a skilled face-up 7 footer who can shoot and drive the ball. He’s always been an incredibly disinterested rebounder, and he turns it over quite a lot (perhaps in part due to the lack of court time), yet Bender can still block shots, even now he can’t jump as much. He’s a permanent injury risk, but he’s still intriguing. Esteban Batista – Batista’s two years in the NBA saw him do nothing but offensive rebound and foul. He then won a place in fan’s hearts for his performances with the Uruguayan national team against the USA, including an alley-oop dunk over Amare Stoudemire. Batista has been in Europe since leaving the NBA, with mixed results, and he continues to offensive rebound and foul. He couldn’t get any shots off in the NBA and was too slow to keep up, but his jumpshot has improved in his time in Europe, which might help. Antoine Walker – He’ll take the minimum. 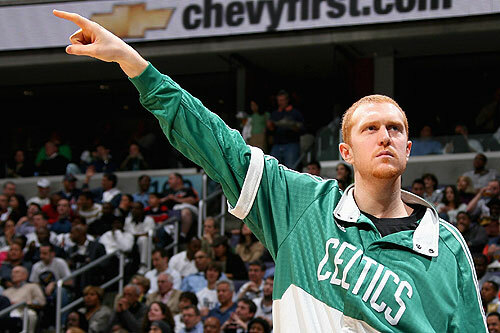 Brian Scalabrine – So will he. James Mays – Former Clemson forward Mays has always preferred to face the basket, and is a talented face-up passer, yet in recent years he has resorted to taking a lot of threes. Perhaps the reason for his new-found three point affinity has something to do with the torn achilles tendon that caused him to miss almost all of the 2008-09 season. That can cripple a man’s athleticism. Whatever the reason, though, his 29.6% conversion rate in Puerto Rico this spring doesn’t seem to justify the career move. Chris Hunter – Hunter spent all of last season with the Warriors, where he fouled a lot. He also didn’t rebound well. 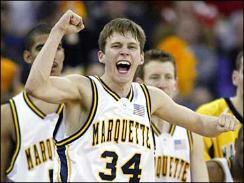 Nevertheless, aside from the fouls, Hunter doesn’t make too many mistakes, which is a far cry from his Michigan days. He also blocks some shots, is decently athletic, and has an OK jumpshot. If he can get better at the last thing, he might find a niche for the long term. Mikki Moore – Moore started last year with the Warriors, but was waived part way through the year, even with 20 starts under his belt. He was an underrated and underpaid backup who, because of the brilliance of Jason Kidd, quickly became overrated and overpaid. Soon to be 35, Moore hasn’t got many years left, yet he should still be able to help a team with his athleticism, energy and rangy jumpshot. Tim Thomas – Since the last time Chicago bought him out it, Thomas has been with the Mavericks, whose former stats guru called him “underrated.” Thomas responded to that acclaim by playing in only 18 games all year due to injury, and recording a plus/minus of -5.3. Thomas will probably re-sign with the Mavericks, giving him a chance to improve upon that and prove Winston right. Ike Diogu – Diogu missed last season after microfracture surgery on his knee. Because of that, and because of his limited minutes on his rookie contract, Diogu has become overlooked by media and executives alike. But even if he’s not the smartest sausage in the world, Diogu can play. His career PER is 16.1; his career TS% is .577%. Injuries and lack of opportunity have defined his career, yet Diogu is a good and efficient interior scorer (17.7pp36m career) who has become much overlooked. Unless it’s due to the knee injury, there’s no reason why Ike Diogu should not be in the NBA next season. Anthony Tolliver – Tolliver was an undersized rebounding centre in college who knew he needed to develop an outside shot to make it at the next level, and now that he’s done so, it’s the vast majority of what he does offensively. He’s not a bad defender, either, albeit on comparably face-up power forwards and not when defending the post. Walter Herrmann – Herrmann’s return to Caja Laboral is not certain yet. (Or if it is, I missed it.) Caja have lost Tiago Splitter (San Antonio), Vladimir Golubovic (Banvit, Turkey) and will probably be losing Lior Eliyahu (who might return to Maccabi Tel-Aviv) from their frontcourt. However, they’re also allegedly about to bring in Pneumonia Bjelica, and are also said to be chasing Esteban Batista, offering up Walter Herrmann in return. If Herrmann does become a free agent, I’d love to see him back in the NBA. He was a good little backup (career PER of 14.0), is better than Brian Scalabrine, and does a solid job of replicating of another NBA calibre talent, Bostjan Nachbar. Speaking of…..
Bostjan Nachbar – ……Bostjan Nachbar is also a free agent. Brian Cardinal – Gone are the days of Brian Cardinal, the overpaid yet underrated little things player and decent defender. The knees have gone, and with them has gone his production. Last season, in two separate stints with the Timberwolves, Cardinal returned totals of 48 points, 29 rebounds, 24 assists and 56 fouls. He has played over 440 minutes only once in the last five seasons, and has been kept in the league solely on the basis of his contract, which has now expired. Cardinal was a genuinely decent player for a while, but that time has passed. I only hope that David Kahn knows this. Mac Koshwal – Koshwal has been the only good thing going for DePaul over the last two years, so it was a bit of a scrote kick when he left early. He was slated to be drafted for much of the year, but fell out of the second round later on, although staying at DePaul for another year of Big East embarrassment probably wouldn’t have changed that. Koshwal has an uncanny knack for getting steals when playing pick and roll defense, mainly through standing still and sticking his hands out, and he has a decent if not terrific post-up games. He turns it over a huge amount, but you probably would too if you had to kick the ball out to Mike Bizoukas. Koshwal is reportedly going to sign with Israeli team Galil Gilboa, although nothing is official yet. Shaquille O’Neal – This, ladies and gentlemen, is why the “he’s a superstar, he can say what he likes” defense does not wash. For years, Shaq would call people out in whatever way he so chose, including unnecessary pot shots at players like Ricky Davis and Chris Quinn, just because he wanted the press to like him. But now? Now that he needs the NBA? The NBA does not need him. Had he been a nicer guy, there wouldn’t be the locker room doubts that are now submarining his otherwise-good-enough production. Josh Boone – Boone did not improve during the duration of his rookie contract; in fact, after Marcus Williams left, Boone only got worse. This decline is evident in his free throw percentage, which achieved the unusual feat of going downwards for four consecutive seasons (54%, 46%, 38%, 33%). Nonetheless, Boone is occasionally useful for some pick and roll offense, and grabs enough rebounds to matter. Radoslav Nesterovic – Rasho has had a career which has been far in excess of that of almost everyone else on this list. He has been a good player for many years, even once the starter on a title winning team. Now into the 18th season of his professional career, Rasho is very much on the backslide of his career; nevertheless, he remains productive, blocking some shots, rebounding averagely, and hitting jumpshots. In an exciting piece of additional trivia, Rasho amazingly attempted only 5 free throws all of last season, compared to 149 field goals. This isn’t really indicative of anything; I just wanted to say it. EDIT – Rasho has signed with Olympiakos. 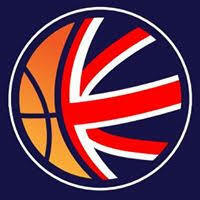 Let’s Euroleague! Patrick O’Bryant – O’Bryant was Rasho’s backup last season, and has not done anything in four NBA seasons. In that time he has totalled 186 points, 127 rebounds and 126 fouls. Last year, O’Bryant played only 51 minutes all season for Toronto, and fouled 12 times in that span. O’Bryant really isn’t as talentless as his numbers suggest; he can make a few baskets around the rim and is a good shotblocker. But to keep getting contracts,he’s going to have to get (and seize) a good opportunity. And to do that, he’s going to have to stop fouling. Primoz Brezec – Like the majority of the “shooters” on this list, Brezec does not have three point range. Not in the NBA, at least. His jumpshot is pretty much all he has – that and the clumsy foul – and even then, Brezec has only 1 career made three point field goal. He can’t dribble, post, finish, rebound, defend or run; what you’re left with is a very, very, very big jumpshooter. By the way, Bruno Sundov is also available. Brian Skinner – It has never really mattered that Brian Skinner is undersized, because he collects rebounds and blocks anyway. He may have all the catching ability of a lettuce and a soft dexterous touch akin to being groped by Captain Hook, but defense is defense. Skinner produces just as much as Kwame Brown does, and without the soap opera. He just turned 34 and was dreadul last season, but the previous 10 were pretty good. Kyrylo Fesenko – It took a while, but Kyrylo Fesenko finally beat out Kosta Koufos for the Jazz backup centre spot. And now that Koufos has been traded, Fesenko should return and do the same once again. Maybe next year he’ll crack the 1,000 minute mark. Nate Jawai – After three teams in two years, Jawai couldn’t get so much as a qualifying offer from the Minnesota Timberwolves. They traded for him to fill out their roster in last year’s training camp, and even gave him a couple of starts, but Jawai responded with bad foul and rebounding rates, and a PER of only 11.0. He then injured his ankle and played very sparingly after January; the team then saw fit to bring in Greg Stiemsma for the remainder of the season and did not extend Nate a qualifying offer. Those things do not bode well. Kwame Brown – For all of the abject fail that has drizzled his career, Kwame Brown can truly defend the post. Anything offensive-related is highly questionable; Kwame can’t catch, never could shoot, doesn’t have good touch, has gotten worse in all facets of shot making, and has lost his athleticism. Yet he rebounds well enough (16.2% total rebounding percentage last season), and defends the post admirably. It comes at the expense of fouls, turnovers and no offensive ability whatsoever, but since this is the minimum salary we’re talking about, it might be OK.
Ronny Turiaf’s views on the issue are a little different. Jake Voskuhl – Voskuhl did not play professionally last season. In the season before that, he put up a PER of 0.4 in 38 games for Toronto. Just firing it out there. Sean Marks – Quite incredibly, Sean Marks has just completed his tenth NBA season. It’s incredible because I’d be willing to bet there’s a good many NBA fans out there who have managed to not see a single minute of hot Sean Marks action in those ten seasons. Marks’s career totals in those ten years are only 201 games and 2,067 minutes, including only 14 games and 75 minutes last year. This is partly because he’s often injured, partly because he’s often fighting for a contract, yet also because he’s a marginal talent. Marks is a soft 7 footer who doesn’t like physical play and who doesn’t rebound well, and while he’s a good shot maker, he has shot only 45% for his career. It’s very much to his credit that this limited CV has turned into more years of NBA experience than you’ve had hot dinners, yet eleven seems like a definite stretch. Jackie Butler – Butler hasn’t played, anywhere, since the end of the 2006-07 season. And when he did play, he had only two good months. Butler is 6’11, athletic enough and can score the ball, but he does not rebound, defend, or stay in shape. Or stay in work. Jared Reiner – 28 year old Reiner is working on a streak of seven consecutive training camp contracts. He is much the same player as he was when he played with us back in 2004-05, although Reiner started to develop a three point jumpshot last season, hitting sixteen of them in 8 games in the Puerto Rican SN (making four), and somehow managing to attempt only 3 free throws to 107 total field goals. He had not hit a single three pointer in his entire collegiate and professional careers combined, over a span of ten years. It would be a stretch, though, to say that he’s now got a three point stroke. Jason and Jarron Collins – The two are listed together for the simple reason that they’re identical in every way. Jason used to be considerably better, but he’s not now – not since Kiefer Sutherland and Eddie Izzard have two different people been so identical in every way. Both are little things players, big and versatile defenders, charge-takers and heartbreakers; neither can score or rebound. Both put up absolutely dreadful numbers when measured by any conventional metrics. Coaches continue to love them anyway for their “intangibles.” Jason is said to have agreed to re-sign in Atlanta, but hasn’t done so yet. For this reason, they are candidates for your team, regardless of whether you want them to be. EDIT: Jason’s re-signing with Atlanta is now official. This, by default, makes Jarron hotter property. Buy early to avoid disappointment. Stromile Swift – Tyrus Thomas was more similar to Stromile than we Bulls fans ever could have accepted, which is slightly worrying as Stromile spent last season in China. He was bought out by the Nets at the 2009 playoff deadline, and signed with the Phoenix Suns to complete the 2008-09 season. But the only contract he could get for this season was an unguaranteed minimum with the Sixers, and even that was insufficient, as the team waived him before the regular season started. Stromile then went to China, where he averaged 22.1 points, 11.8 rebounds and 3.1 blocks per game for the playoffless Shandong Flaming Bulls. (As an aside, Stromile hit four three pointers on the season; curiously, all four of them came in the same game.) It was only two short years ago that Swift was an effective player on both ends of an NBA court, and although he’s now 30, I believe that he could still be so. This dunk remains extremely underrated. Fabricio Oberto – Last season for Washington, the 35 year old Fabricio Oberto totalled 650 minutes, 83 points, 105 fouls, 36 turnovers and 121 fouls. He’s a good little-things player, and it’s good that he is, because he sure as hell can’t do the big things any more. The fact that Washington sold the number 32 pick for $2.5 million, just to spend $2 million of that on Oberto’s terrible year, is representative of the kind of thinking that got the franchise so stuck in the first place. At least they’ve finally blown the doors off of it and can begin again. Earl Barron – Despite their free agency plan, the Knicks never renounced Earl Barron. They did this because they intend to re-sign him for more than the minimum; in 7 games last season, Barron averaged 12/11. Barron is a big old boy – 7 foot, about 250lb – who only really wants to use that size to get off mid-range jumpshots. He has great touch on that shot and is a pretty polished offensive player, but he’s not a physical defender, and nor is he normally a good rebounder. Those numbers from last season were the exception, not the rule. Nevertheless, Barron is good enough to be in the NBA. Mark Blount – Last preseason, Minnesota encouraged Mark Blount and his representatives to seek a trade for him, since the Timberwolves didn’t want him. They couldn’t find one. Minnesota then encouraged Blount and his people to find someone who’d sign him in free agency, so that they could begin buyout talks. They couldn’t find one of those either. Minnesota eventually waived Blount anyway, and he did not play a single minute last season. That should say something. Robert Swift – After five years and only 97 games played due to injury, Swift fell out of the NBA last summer and went to the D-League to play for the Bakersfield Jam. Swift was born and raised in Bakersfield, so it was a logical unison; however, after only two games with the Jam, Swift asked to be released for personal reasons. The Jam obliged him, and their head coach Will Voigt said that it appears Swift is done with basketball aged only 24. If he has a re-think, it is worth a team seeing if he was healthy, for, on the rare occasions that he was, Swift showed signs of usefulness. But if he isn’t, and if he just doesn’t want to do this any more, then it’s a non-starter. Francisco Elson – Now 34 years of age, Elson split last season between the Bucks and the Sixers. Between the two he totalled only 66 minutes, 12 points and 14 rebounds. Elson has made his name as a defender, which explaisn why he continues to get NBA work despite being neither a scorer nor a rebounder. Jerome James – …..Yeah, maybe not. Adonal Foyle – Adonal Foyle would be the ideal candidate for many team’s backup centre spots, were it not for one small flaw. He has played only 10 total games over the two seasons, including none last season, due to a knee injury that may force his retirement. Foyle has made no official statement on the matter, and as recently as March was said to not want to quit, yet it doesn’t look great. Etan Thomas – Thomas’s 6 year contract has finally expired, and it didn’t exactly crescendo. Etan has played only 49 games over the last three seasons due to a variety of ailments, including open heart surgery and a torn MCL. The injuries have more than derailed his career; they might have ended. Nevertheless, if Thomas is still healthy enough to play, then he has enough skills to contribute. He insist on using a jumpshot that he doesn’t have, yet he makes shots around the basket, blocks shots, and is pretty atheltic for a 6’10 player. HIi rebounding has tumbled away after all the injuries, but that used to be decent too. Oleksiy Pecherov – Stewie’s season peaked in a preseason game versus Chicago. He kept Minnesota in the game single-handedly with 16 points in 21 minutes, then lost it for them single-handedly with a series of incredibly bad decisions. Offensively, he takes bad threes and turns it over. Defensively, he fouls. He’s quite a good rebounder, but that’s all he’s shown. Didier Ilunga-Mbenga – Mbenga is an athletic 7 footer and a shotblocker, with decent rebounding rates, and an occasional desire to shoot on every possession, which can be highly amusing in garbage time and highly destructive in actually important moments. He also has two championship rings, which may or may not be more than the rest of this list combined. Randolph Morris – Morris just completed a guaranteed two year contract with the Hawks, and now has four years of NBA experience to his name. Also to his names are totals of 438 minutes, 140 points, 104 rebounds and 100 fouls. Nonetheless, he showed a little something last year. Morris only ever received garbage time minutes, but in them, he at least showed the ability to score the ball. 62 points in a season is not something to be ecstatic about from a fourth year player, yet Morris demonstrated the offensive talent that got him this far, and it might just help him land somewhere else for next year. Now, he needs to stop fouling. Michael Ruffin – Ruffin finally flumped out of the NBA last year, and spent a month in Spain instead. The worst offensive player in thie history of the NBA can still play aggressive perimeter defense. However, he is also still completely unable to produce anything of substance on the court, other than slightly above average offensive rebounding. Steven Hunter – Hunter is probably done due to years of injuries caused by years of jumping. They are best described here. Courtney Sims – After a blistering start to the 2008/09 D-League season, Sims became hot sizzle. He had already played in training camp with the Pacers (2007) and the Hornets (2008), but it was that year that he really broke out, winning the D-League Player of the Year and All-Star Game MVP awards, and averaging 22.8ppg/11.0rpg/2.0bpg. It earned him midseason call-ups to both the Suns and Knicks, and then for training camp 2009, he signed with Atlanta, where he failed to make the cut. Sims trailed in other leagues last year (Belgium, China, D-League, Puerto Rico), and his star was definitely burning brighter at this time last year, but he should still probably come with a training camp contract somewhere. Nikola Vujcic – Vujcic has just been released by Olympiakos, who are looking to trim payroll. The 32 year old is a highly accomplished offensive player, standing 6’11 with great low-post and passing skills; he has the only two triple doubles in the history of the Euroleague, both of which involved assists. He is no longer the superstar that he was, and his minutes took a nosedive due to the presence of Sofoklis Schortsanitis and Giannis Bourousis last year (amongst others), yet Vujcic is as close of a like-for-like replacement as there is for Brad Miller out there, albeit with far more low post than high. For that reason, despite his advancing age and ever-increasing tendency to get injured, there exists a good opportunity here for Vujcic to finally join the NBA. But he’d probably have to take a discount, because plays who struggle to play 15 minutes are only minimum salary calibre. Sean Williams – Williams was in the NBA to begin this season, but only because his salary was guaranteed, and not because his play had merited it. He played in only 20 games and 227 minutes with the Mets before being waived when they needed a roster spot for someone they didn’t even want (Sean’s namesake, Shawne Williams). Considering Sean came into the NBA needing to improve many facets of his game – particularly anything resembling consistent offensive contribution – it was perhaps disconcerting that he got worse year on year, rather than better. Williams’s athleticism and shot blocking are all in order, but the other facets of his game are not, and he’s continued to encounter trouble off the court in his NBA career. Chris Richard – Richard is an oft-injured undersized 6’9 centre who can’t score, defends via the foul and who doesn’t rebound particularly well. He was a mere sixth man in 4 years of college, underwhelmed in the D-League, and has done nothing in his time in the NBA. But aided by some love from the Bulls, he keeps coming back. And he really can play man to man post defense. Peter John Ramos – Ramos is coming back to the NBA this summer. I can’t tell you where; not because I’m being coy or anything, but because I don’t actually know. The story, though, is that Ramos will return to the NBA in the next couple of weeks, with a team you’ll know about as soon as I do. Maybe even before. Mario Kasun – Former Magic centre Kasun will not be returning to Turkish team Efes Pilsen, and is thus a free agent. His two seasons in the NBA still intrigue me; decent scoring, very good rebounding, and truly ridiculous foul rates. He still fouls a lot now, averaging 2.1 fouls in 14 minutes per game in the Turkish league. Now 30, this can no longer be cited to rawness. Absolutely no one in any position of authority in the NBA is considering Kasun as a candidate, and he and his agents are probably not considering it either. I think it’s just me on this one. David Harrison – Speaking of fouling a lot, David Harrison averaged 4.1 fouls in 26 minutes per game in China next season. This was a minor improvement on his 4.2fpg the season before. I stopped short of including players who would have starred on this list five years ago, who continue to ply their trades elsewhere. This meant no Jelani McCoy, no Rodney Buford, no Keith McLeod, and no Dan Dickau. I could have opened it up to include more undrafted players; Trevon Hughes, Artsiom Parakhouski, Gavin Edwards, etc. But I didn’t. It had to stop somewhere. There are players who either have or had NBA calibre all over the world; for an accurate-as-I-can-get-it and more comprehensive list off free agents, look here. Transactions continue to take place around the world; for a list of them pertaining to relevant players, click here. Great article. Did you intend to include more in the Fesenko entry? Also, one of the Collinses has signed. Thanks. I love the Jerome James analysis. Short and to the point. He needs some time away from basketball to spend his money. Someone really should sign Jon Scheyer. You'd think his ability to NOT turn it over, his winning pedigree and shooting ability would get him a 12th man spot, at the least. Lets hope an NBA GM has the guts to sign Garret Siler. To me the fouls should not be an issue since he will be only get backup or garbage minutes. It would be fun to see him try to break Wilt Chamberlain's single season record for FG% at 72.7%. And really, how often can we talk about any player breaking one of Wilt's records? The Celtics presumably waived Landry and brought in Lafayette and Gaffney in order to have their 2010-2011 non-guaranteed contracts as trade assets.